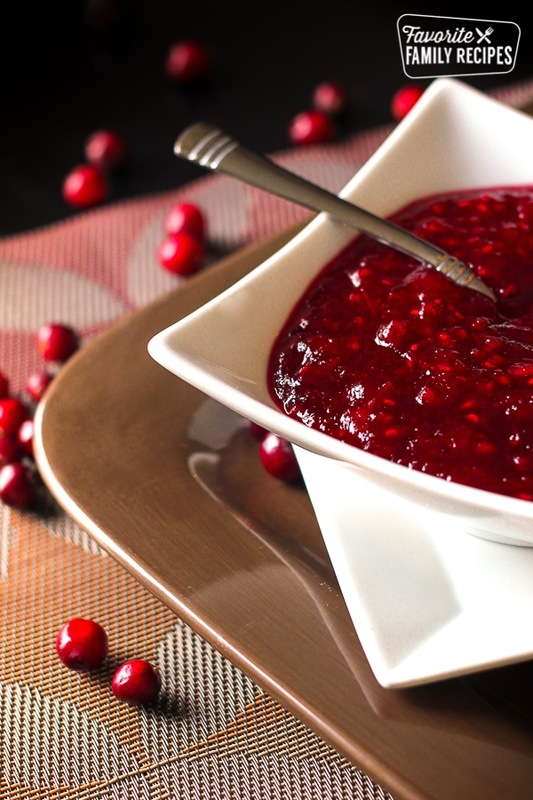 This Raspberry Cranberry Sauce is a tasty twist on your regular cranberry sauce. 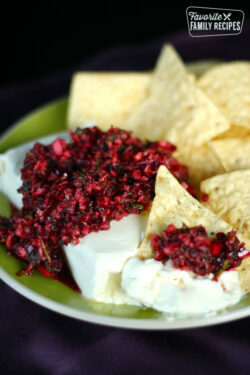 The raspberries give it a boost of flavor. Delicious on turkey and rolls! 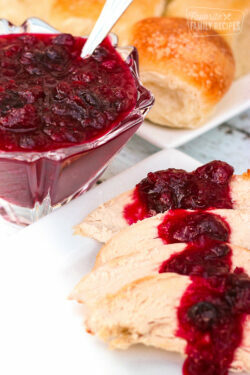 This raspberry cranberry sauce is a tasty twist on your regular cranberry sauce! 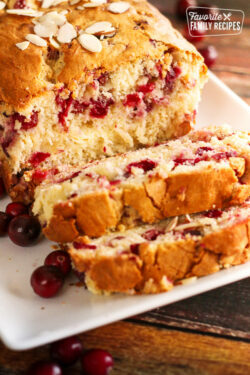 I decided to try making it this way because I am crazy about cran-raspberry juice! It turned out so yummy, I am definitely adding this to my Thanksgiving menu from now on. I am also really excited to try it on our pilgrim sandwiches! 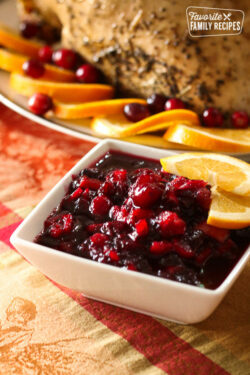 That is one of my favorite recipes for leftover turkey and I usually get the cranberry sauce in a can, but this sauce tastes so much fresher and better! When I made this recipe I actually doubled it so I could take some little containers around to my family. This would make for a pretty little holiday gift for friends. This was really easy to make and pretty inexpensive, definitely worth the extra effort to get the fresh flavor! I got a huge bag of fresh cranberries at Costco, but I have also found them around local grocery stores. Pour the sugar and water into a large saucepan. Stir together and bring to a boil on high. Add the cranberries and raspberries and return to boiling. Turn the heat down to medium so it is a low boil and cook for 10 minutes. Place a strainer over a large bowl and pour the sauce in so the strainer catches the berries. Use a wire whisk to mash the berries to desired consistency then add them back to the sauce. Stir in the almond extract then cover with some aluminum foil and let the sauce cool to room temperature on the counter. Spoon sauce in to containers and keep refrigerated. This sounds great! I think I’ll try it with orange extract and maybe even a bit of orange zest. Hello, I love all your recipes and would like to try this one. I have tried to print it off but was not successful. When I click the print button it takes me to a blank page. Is there a way we can print this recipe off? Thank you in advance for your help and thank you for sharing your recipes. Yikes! We will try to fix that ASAP so you can print! How much does this recipe serve? Hi! How long can this sauce be kept in the refrigerator? Can this sauce be frozen? I’m making dishes ahead as much as possible to lessen stress on the big day! Yes, you should be able to can this just as you would any kind of jam or jelly. If you want to be extra cautious you could add a little lemon juice to the mixture to boost up the acidity. Hope this helps! Tried this new recipe this year and it was such a hit! Everyone loved it and asked that I make another batch before they travel home today. Thank you for sharing your recipe. I am so glad you loved it! Thanks for the 5-star rating! !